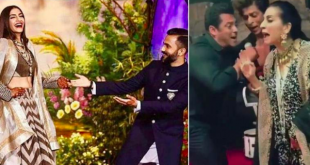 Karan Johar shaked it to Prem Ratan Dhan Paayo's title track and the younger Kapoors moved on Salman Khan's superhit song Swag Se Swagat, the surprise element came in Salman, Shah Rukh and Anil Kapoor's dance. 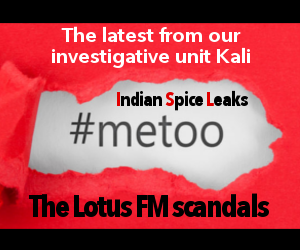 Bollywood star Sonam Kapoor's reception looks like the grand affair people had thought it would be check out the photos from the event! 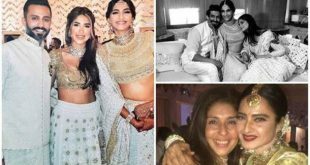 After watching all the videos, one can say Sonam’s wedding reception was high on fun, glamour and celebrities. 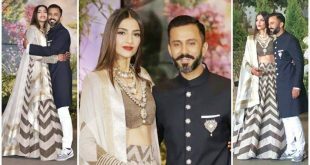 After an intimate pre-wedding and wedding ceremony, Sonam Kapoor and Anand Ahuja’s reception had the entire tinsel town under one roof. 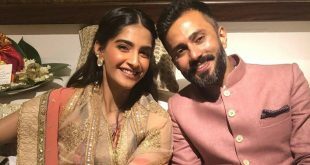 Sonam Kapoor and Anand Ahuja tied the knot on Tuesday in Mumbai as per Sikh rituals. The wedding was held at Sonam's aunt's heritage bungalow Rockdale in Mumbai. 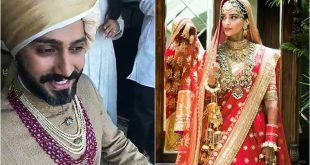 First pictures of Sonam & Anand’s big fat Punjabi wedding! 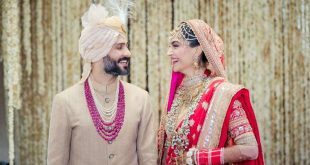 For her big day, Sonam chose an Anamika Khanna red lehenga and groom Anand Ahuja looked nothing short of royalty in a pastel sherwani and pagdi (turban). He accessorised his outfit with layered pearl and ruby necklaces. 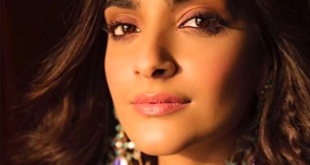 After a pre-wedding celebration, Sonam Kapoor’s grand mehendi ceremony is currently underway. The guests have started to arrive at the actor’s pad situated at Sunteck Signature Island, Bandra Kurla Complex. Rani Mukerji, Arjun Kapoor, Karan Johar, Janhvi Kapoor, Kirron Kher and Mohit Marwah have descended at Sonam Kapoor and Anand Ahuja's pre-wedding celebration. 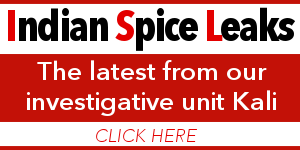 Varun Dhawan, Jacqueline Fernandez, Arjun Kapoor and others from the Kapoor family, all reached Anil Kapoor's house on Friday evening to rehearse for their dance performance and mark the beginning of Sonam's wedding festivities.